The whole of Pakistan waits with bated breath. The ball is in the air following a flatter trajectory. Azhar Ali is ready to embrace it. The scream of 'caaatchhh' echoes inside The Oval amidst the cacophony of 25,000-odd vociferous fans. Mohammad Amir had already set off in celebration. The ball hits Azhar's palms and pops out. It loops over his shoulder, bounces twice. As he desperately searches for the ball, Fakhar Zaman at second slip tries to reach it but gravity has already done its job. Azhar slams his cap in disbelief with a 'you've dropped the Champions Trophy' look on his face. A shell-shocked Mickey Arthur has his hands on his head. A livid Amir applies brakes on his celebratory wheels and throws a stare. Virat Kohli just looks straight and shadow practices the shot again. Amir walks back, kicking the field probably wondering whether a unique record — that of the number of catches dropped off his bowling — could be created. He turns around and steams in again. This time with an extra rush of adrenaline. It's a length delivery on off and zips away after landing. Kohli is early into his flick and gets a leading edge. The ball is in the air again. There's a collective intake of breath. The scream of 'Caaatchhh' is so loud it might have been heard in Birmingham and Cardiff as well. It's a desperate plea more than a command this time. 18-year-old Shadab Khan leaps to gobble it up. Amir's aeroplane celebration takes off. Arthur is up on his feet applauding. Kohli walks off in disbelief shadow practicing the shot again. From anguish to joy in a matter of seconds, Amir has gone through a whole range of emotions just like he has throughout his bumpy career so far. He provides the defining moment of the match, sending back the best ODI chaser in the world and giving a complete performance that the country was yearning for. Ever since his comeback from the spot-fixing ban, Amir hasn't lived up to the high hopes and expectations of the cricketing world. He's sparkled in bits with breathtaking spells, providing the 'WOW' moments. But somewhere down the line consistency and a match-winning performance were missing. The story was the same before the final in this Champions Trophy. He had scalped just two wickets from 28.1 overs at 67.50 and a strike rate of 84.5. His most telling contribution came with the bat where he played a sensible knock of 28 against Sri Lanka to guide Pakistan past the finish line in a tense chase along with captain Sarfraz Ahmed. There is still that thrill and excitement factor related to Amir every time he runs in to bowl. On a sunny day at The Oval, you can feel the adrenaline pumping as Amir turns at the top of his mark against India. Pakistan set Kohli's side a competitive target of 339. There is a genuine sense of belief that Pakistan could pull something special out of the hat. Amir sets the tone by setting up Rohit Sharma beautifully. Two outswingers are followed by an inswinger to trap the in-form opener on the crease and dismiss him LBW. The partnership that had amassed the most runs in the tournament is broken. Amir lets out a roar. Rohit trudges back in disappointment. Kohli and Amir have been involved in some gripping battles of late. This was another one of those. Amir beats Kohli's inside edge with a 145 KPH inswinger off the first ball. The left-arm pacer is coming hard at the batsman, ramping up decent pace with movement in the air and off the pitch. Kohli looks confident on the next two balls as he punches one to mid-off, and then flicks the next through mid-wicket for a couple. The fascinating duel resumes in the next over as Amir induces a leading edge off Kohli but it flies through the gap at point. The next one is full and swinging on middle. Kohli drives it straight back to Amir who fields it on the follow-through and threatens to throw it back with a stare. "I like the contest between these two," Sourav Ganguly exclaims in the commentary box. "He is coming hard at the best batsman in this format at the moment. It's going to be a great battle," he adds. To this, Nasser Hussain replies, "He loves a challenge, Kohli. He loves doing things that people can't do." Minutes later, Amir sends Kohli back into the hut, but not before Kohli has been dropped. It's not often that someone forces Kohli to make mistakes twice. Amir does. He's bowling in the corridor of uncertainty with substantial pace. Shikhar Dhawan, the highest run-getter in the tournament, is slowly getting into the groove but six overs later, Amir outclasses the southpaw with a cross-seam delivery which generates extra bounce to catch his outside edge. The top order has been India's lynchpin throughout the tournament. 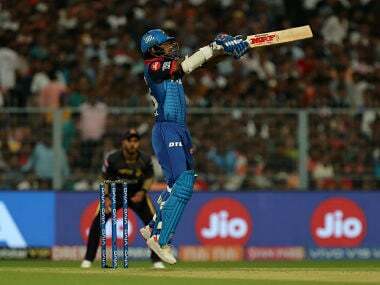 The trio of Dhawan, Rohit and Kohli has scored a staggering 81 percent (874/1074) of the team's runs before the final. 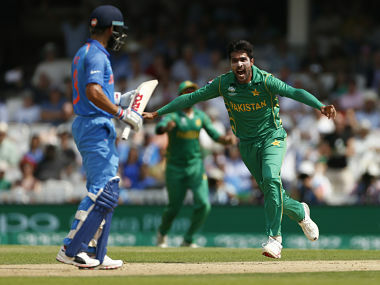 Amir, with three wickets, has virtually forced India into submission inside the first powerplay, on a batting paradise. "We spoke about it actually in the team meeting. 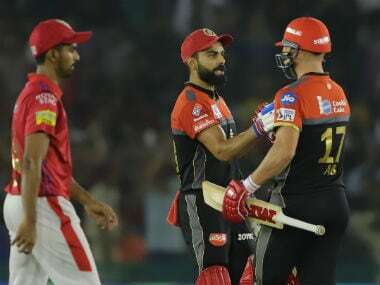 We thought that if we could get through that Indian top order early, we could probably expose that middle order that hadn't batted a fair amount. And Amir was the guy who could do that for us," coach Arthur says in the post-match conference. "In the first two games he didn't get any wicket but he had bowled particularly well. We were always thinking there was one spell in him somewhere and the spell came thankfully today. 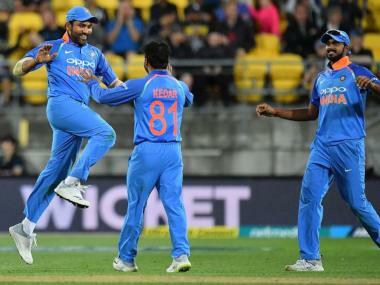 At the start of the final, we put India on the back foot which certainly gave us an upper hand." This was the Amir that Pakistan was craving for. The Amir who could destroy the opposition with consummate ease. The Amir who could put his hand up when Pakistan require him the most. The Amir who could win matches for Pakistan. He even made a nostalgic Wasim Akram tweet, "You little beauty @TheAmirOfficiaI reminded me of my days." On Sunday Amir, the sleeping giant, woke up on the big stage to bowl one of the most crucial spells of his life — 6-2-16-3. It broke India's spine and they never recovered. "It says a lot about his personality," Arthur went on to say. "Mohammad Amir is a big match player. When the games are on the line and the bigger the game, the more he performs and the more amped up he gets. He doesn't shy away from pressure situations and big games. He's got proper big match temperament and he's showed that today." London has played a large part in Amir's life and in the final his journey came full circle. Lord's, Southwark Crown Court and The Oval are all not so far away. Yet in bowling like he did before the spot-fixing scandal, it actually feels like Amir has finally put some distance between himself and his past.